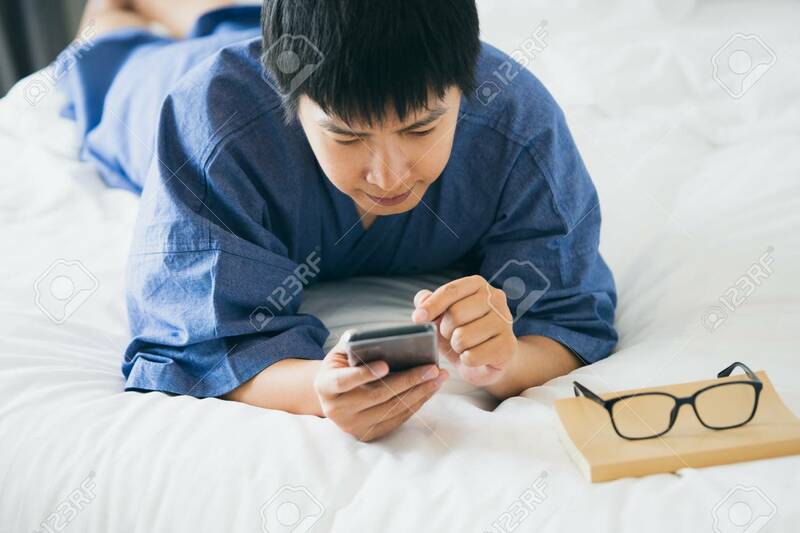 Handsome Asian Men Sleeping On A Smartphone. Play On The Media. Talk To A Friend Or Comments In The Internet Communication By Mobile Phone. Work Through Phone Working Outside The Office Lizenzfreie Fotos, Bilder Und Stock Fotografie. Image 114602733.